RETIRE IN STYLE BLOG: Why reinvent yourself...you're perfect just like you are? Why reinvent yourself...you're perfect just like you are? I always thought that Theodor Seuss Geisel, aka Dr. Suess, knew more about reinvention that anyone around. Our children learned about reading and adventure and laughing from him. He taught them that they were perfect just the way they were. 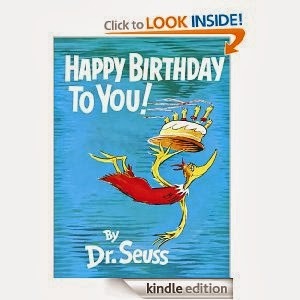 For those of us that were not raised with Dr. Suess, the lessons were just as meaningful. Hidden between the words and in the poetry were lesson on courage and enduring adversity and finding adventure. But best of all there were lessons on challenging ourselves to be the very best we could be. In his book Oh, the Places You'll Go, the good Dr. Suess led the reader down the garden path of possibilities and adventure. He told us “It's opener, out there, in the wide, open air.” It was almost a dare...step out that door and see what there is. His belief was that the adventure of learning was the magic key to all the things that are possible. But Dr, Suess warned that things might not go right, not all of the time. The mountains were high and the valleys were deep. He said, “I'm sorry to say so but, sadly, it's true that Bang-ups and Hang-ups can happen to you.” He asked, "Do you dare to stay out? Do you dare to go in? How much can you lose? How much can you win?” His call to bravery resonates with the old and the young. But in the end he always managed to find just the right note...the one that had the reader believing that, no matter what you do, whether you succeed or you fail, the adventure was worth it. "...you're off to Great Places! Today is your day! Your mountain is waiting. So...get on your way"
When he reminded us that we are who we are, I think he was telling us that reinvention is not about changing ourselves. It is about deciding to be the very best person we can be. Because in the end you all know "there is no one alive who is you-er than you!" I think he would say you are perfect just like you are. But if you think you can be "perfecter" then go climb that mountain that is waiting...get on your way! Note: Thank you to Brainy Quotes for making my writing easy and to Yahoo Answers for the complete words to Oh the Places You'll Go.